Tasha Morrison is a bridge-builder, reconciler and a compelling voice in the fight for racial justice. Ebony Magazine recognized her as one of their 2017 Power 100 for her work as a community crusader and in the fall of 2018 she was named one of 115 Changemakers by Facebook who will work with their Community Leadership Program to bring the world together. 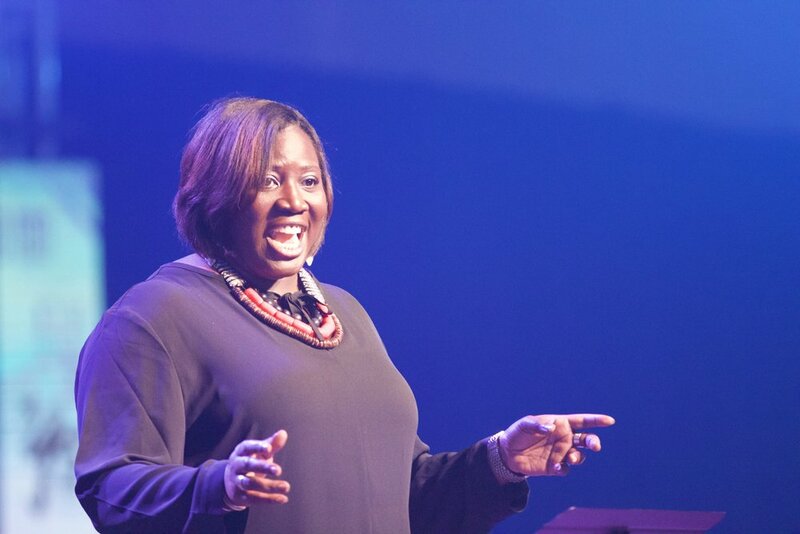 Tasha has taken her message to audiences across the country at events that include: IF: Gathering, Justice Conference, Youth Specialties, Catalyst, Q, Barna’s State of Pastors Conference, Orange Conference, MOPS International and many others. A native of North Carolina, Tasha earned degrees in human development and business leadership. After excelling in corporate positions, she began working on staff at churches in Georgia and Texas. At the heart of this incredible woman is encouraging racial reconciliation among all ethnicities, to promote racial unity around the world, and to develop others to do the same. To this end, in 2016 Tasha founded Be the Bridge to inspire and equip ambassadors of racial reconciliation. Her team has developed curriculum, discussion cards, and other resources. It is her desire to build a community of people who share a common goal of creating healthy dialogue about race. In addition to equipping more than 600 groups around the country, Be the Bridge hosts a closed, moderated online community of bridge-builders on Facebook with more than 15,000 members. The group has been a forum for learning, as members from different ethnicities practice the BTB values of grace, humility, truth-telling, respect, repentance, reconciliation. Be the Bridge builds partnerships with organizations who have a similar heart for diversity, racial justice, restoration and reconciliation. This collaboration includes speaking, training and consulting work with churches, para-churches, and ministry leaders in their work of reconciliation within their organizations. When not captivating audiences with her dynamic presentations and conscious-raising workshops, Tasha can be found drinking tea, laughing with friends and watching Christmas movies year-round.